Just recently, the Lost Footscray FB page sported a photograph of the Middle Footscray portion of Buckley Street – taken before the houses there were demolished. And there it was – the original Pandu’s. 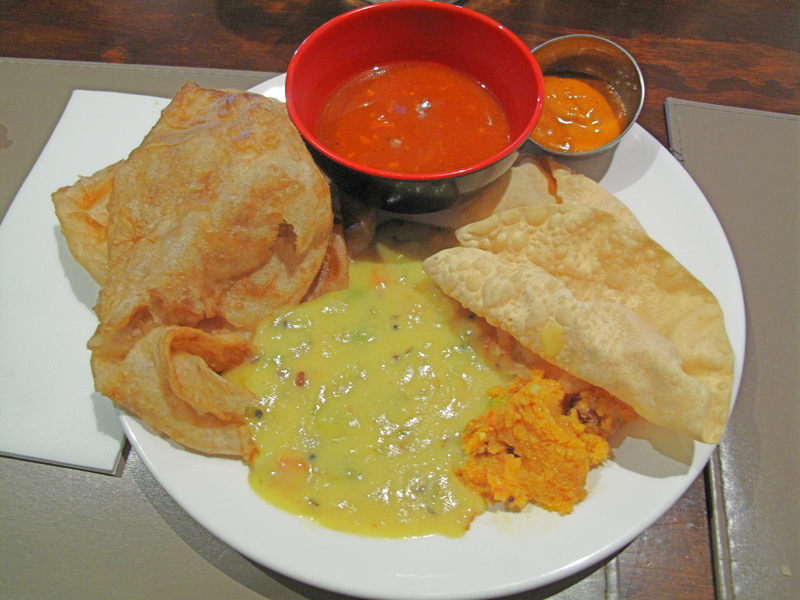 Pandu’s, since then, has moved on to swisher, more roomy premises on Barkly Street – and we remain sporadic customers. Truth is, though, the spicy buzz we used to get from Indo-Chinese food has faded. Instead of the dry, crunchy, zingy stuff we firstly loved, our experiences of recent years seem to have been more of sodden and gloop. 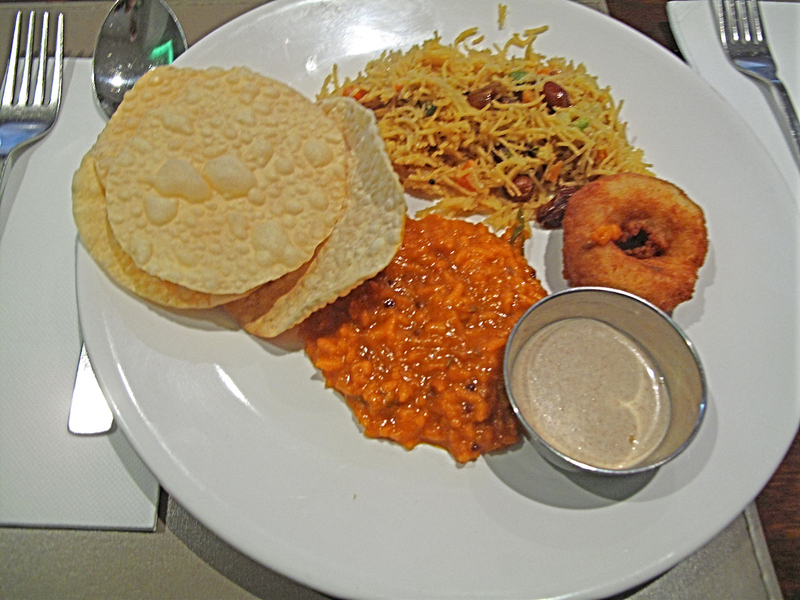 But the expanded Pandu’s spreads its menu far wider – there’s biryanis, dosas and much, much more. 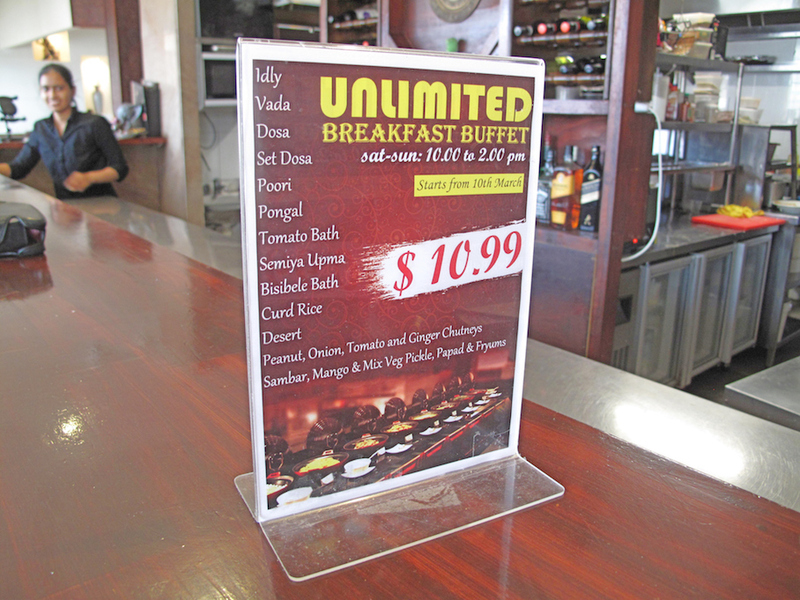 Including a bargain-priced weekend breakfast/brunch vegetarian buffet we are keen to try. It’s beaut – and at $10.99 a super deal. And it’s a hit, too, with the Indian community – closing in on 1pm on the Saturday we visit, Pandu’s is doing brisk trade. 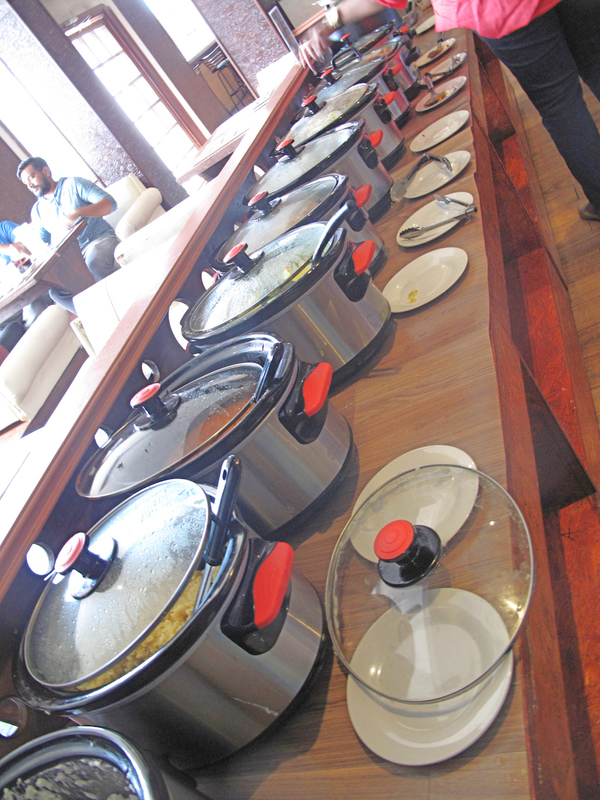 The food is arrayed in a row of cookers and other containers. There is – this is a buffet, after all – heaps and heaps of it. Some of it is familiar, some not so. The staff are working hard so the run-through explanation we are given passes in a bit of a blur and I struggle to take it all in. Certainly, the three of us go nowhere near trying all that is on offer. Partly that is because we’re old and wise enough to discard the ever-present buffet temptation of going hog wild and loading up our plates, though we all make second visits to the line-up. Being a huge fan of both pooris and papads, I revel in a bottomless supply of both. And the smooth, pale yellow vegetable curry that teams with the pooris is a treasure. 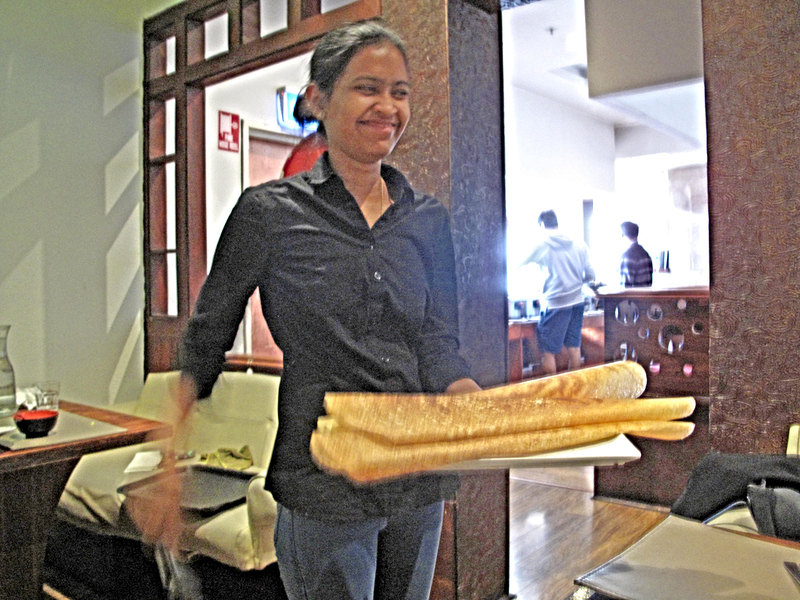 Plain, unstuffed dosas are part of the Pandu’s buffet set-up, but they are brought around separately by the staff – thus avoiding sogginess! are you talking about footscray? 121 nicholson st is ras dashen restaurant permenant closed ,haven’t heard marked yet ahmed!!! Yes, there’s that. But it doesn’t go to the quality of the food. article says clearly says west footscray,this restaurant review is in footscray. am i missing something!!! The article is wrong. Pandu’s is in Footscray. Many people – including locals – get it wrong. Date of article is 29th January, and we are in October now,how relevant is it! Is it safe to eat now? Maybe. But there’s also a widespread tendency to think West Footscray starts at Geelong Road, rather than Summerhill Road. Hi Kent! Not according to Google maps and the real estate industry. There have been several discussions over the years at CTS about the ever-shifting suburban boundaries of the inner west!